Hello! 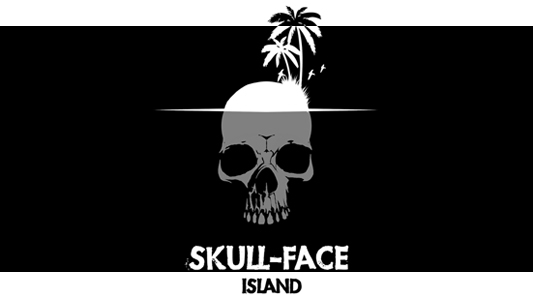 It’s Adam Frazier aka FamousMonster and welcome to Skull-Face Island! Last week we participated in the 20th Annual Skull-Face Island Olympic Games, where Team USA took the Gold in Ribbon Dancing, Pterodactyl Hang Gliding, and Freestyle Napping. As expected, the natives dominated in Interpretive Animal Sacrifice, Coconut Bowling, and of course, the 100m Velociraptor Dash. Needless to say, David Allen, Tim Grant, and myself are exhausted. We’ve been replenishing our precious bodily fluids with copious amounts of fruit smoothies and frozen daiquiris thanks to Tim’s capacity for building state-of-the-art blending apparatuses out of scrap metal and tree bark. Today: Dean Pelton’s outfits on Community, a trailer mash-up for Total Recall, William Shatner sings, a Star Trek Voyager cake, a scene from Men In Black 3, plus Bits Of Doom. 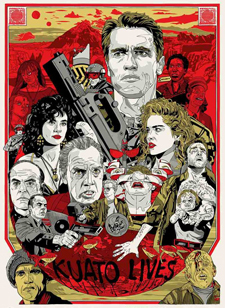 Today: an international trailer for the new Total Recall, The Hunger Games DVD/Blu-ray box art and trailer, a Star Wars Death Star wedding cake, a featurette from Pixar’s Brave, and a Zombie Tarot card set, plus Bits Of Doom. 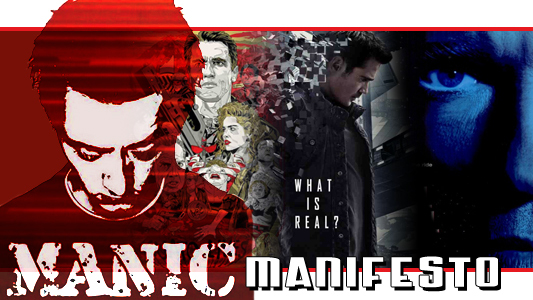 A few days ago, Sony Pictures released a 32-second teaser video for the trailer for the upcoming remake Total Recall. 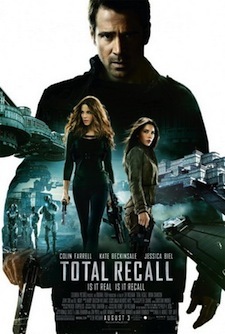 After premiering on television tonight during the Heat vs. Celtics basketball game, the full trailer for Total Recall is now online at Apple Trailers. 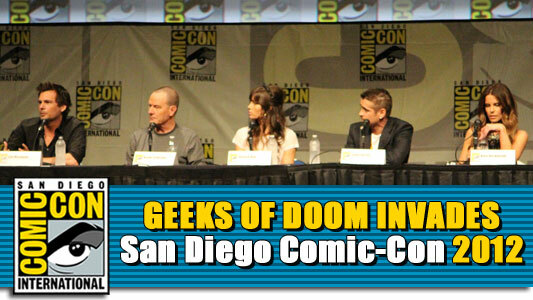 The film, which stars Colin Farrell, Kate Beckinsale, Bryan Cranston, Jessica Biel, and John Cho, hits theaters on August 3, 2012. The marketing campaign for the Len Wiseman-directed redo of Total Recall is finally ramping up with a teaser trailer set to premiere online this Sunday and today’s release of a brief but interesting video motion poster. 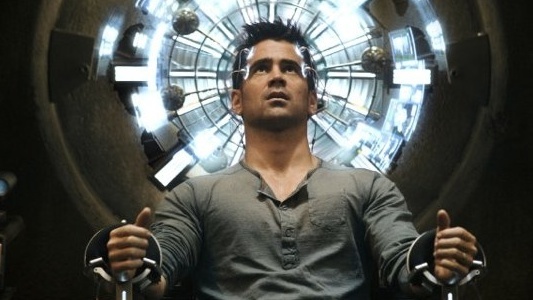 The image shows a gun-toting Colin Farrell (in the role played by Arnold Schwarzenegger in the 1990 movie) breaking into pieces as the tagline “What Is Real?” fades to become “What Is Recall?”, and it all takes place against a futuristic cityscape you’ve seen before in every other science fiction movie made since Blade Runner. I’m getting a Minority Report vibe from the images and footage released so far, but Wiseman isn’t a fraction of the skillful and inventive filmmaker Steven Spielberg is.